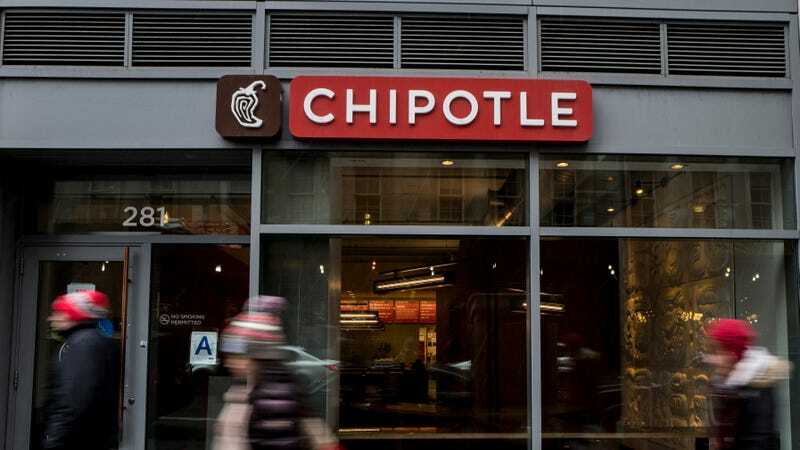 Perhaps sensing that a few people might choose this, the first week of 2019, as a good time to start a new diet plan, both Chipotle Mexican Grill and SlimFast have decided that this sounds like a fine time to roll out some new, diet-friendly options. More specifically, both companies would like to get a piece of that keto diet thing that the kids are all talkin’ about on their social media and their Instagram. First, if that last bit sounds like an exaggeration, it’s not. While the three most searched-for food topics in 2018 were not keto-related, fully half of the top 10 topics were of the keto persuasion. (The keto diet, for the uninitiated, is a low-carb, high-fat diet that, in theory, shifts your metabolism so that fat gets burned, rather than carbohydrates. Please consult your doctor.) So it’s perhaps unsurprising that brands would want to climb aboard that bandwagon during this, the season of resolutions. So what are the items in question? SlimFast Keto provides dieters everything they need to make Keto easy, both at home and on-the-go. The line of eight must-have products includes two meal replacement Shake Mixes (Fudge Brownie Batter and Vanilla Cake Batter), two Meal Replacement Bars (Whipped Peanut Butter and Whipped Triple Chocolate), the indulgent Peanut Butter Cup Fat Bomb snacks, Unsweetened Keto Coffee Creamer, and MCT Oil. SlimFast Keto Ketone Test Strips also help you track results. We are not nutritionists, or physicians, or any other sort of professional food health people. If there’s a diet you like that makes you feel healthier, if it helps you without hurting you at the same time, then we are glad you have found said diet. (This writer’s partner had some success with the keto diet, though the success was, as it so often is, temporary.) But we would advise basically everyone everywhere to be suspicious of the big trends, particularly when corporations are looking to use those trends to make fat wads of cash.